The Oscar for Best Picture is the biggest prize awarded in the film industry. But do the Academy voters get it right every year? Here are 10 films that deserved to win but didn’t. Winning the Academy Award for Best Picture is the biggest prize available in the film industry. 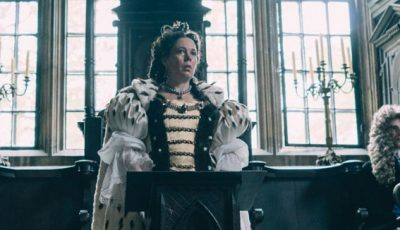 But choosing the “best film” of the year is a tough task – everyone has their opinion and while the general consensus may reveal an overall winner, it is inevitable not all will agree. Ultimately, the principle concern with any such accolade is: what constitutes a “great” film? It’s a dilemma that continually plays on my mind while writing a top 10 list. Yet, a “Best Picture” will be singled out every year at the glamorous Oscars ceremony in Los Angeles which first chose its best film in 1929 when the prize was known as “Outstanding Picture”. The first Academy Awards, held in 1929 to celebrate movies released in 1927 and 1928, chose William A. Wellman’s Wings as its Outstanding Picture. Looking back over the Academy’s choices for Best Picture makes for interesting reading; not least because the term “great” connotes a sense of longevity. The greatest films endure; they either have a timeless appeal or defy their age to resonate with audiences ten, twenty, even fifty years since release. Therefore it is easier to pick holes in the Academy voters’ choices thanks to hindsight. In fairness to the Oscars, it has awarded its top prize to many of the best films since it first began celebrating the film industry’s finest work. Both those movies winning the prize and the selection nominated alongside them, for the most part, have continued to enthrall audiences. Of course, the Oscars has its detractors. 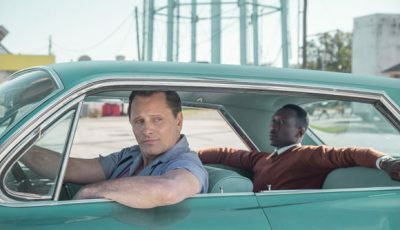 The biggest argument against it cites the presence of films with big studio backing prompting The Exorcist and The French Connection director William Friedkin to say the Oscars are “the greatest promotion scheme that any industry ever devised for itself.” The Academy voters are also a mysterious bunch of industry professionals whose names remain largely anonymous. Yet despite the criticisms the Academy Awards usually gets it right. 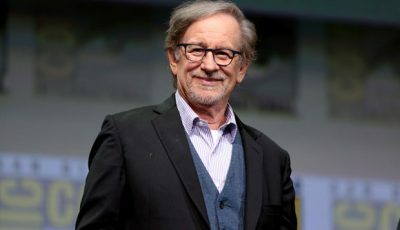 Films such as Casablanca, Gone With The Wind, Lawrence of Arabia, The Godfather, The Godfather Part II, Annie Hall and One Flew Over The Cuckoo’s Nest have all won Best Picture. In recent memory the likes of Braveheart, Forrest Gump, Unforgiven, The Silence of the Lambs, Rain Man, The Lord of the Rings and American Beauty have also triumphed in the category. However, from time to time, a film nominated for Best Picture surprisingly fails to get its hands on the shiny statuette. The following ten selections would have been my choice for Best Picture. These movies, in my opinion, are better than the overall Best Picture winner at the corresponding year’s ceremony. These are the Top 10 Films to be snubbed for Best Picture at the Oscars! 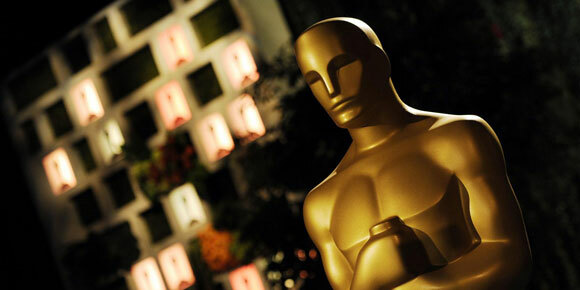 The Academy Awards’ love for the musical showed its ugly side at the 75th ceremony. It snubbed Peter Jackson’s The Lord of the Rings: The Two Towers and Scorsese’s Gangs of New York for Rob Marshall’s Chicago. However, the prize should have gone to Roman Polanski’s gritty interpretation of the Warsaw ghetto during Nazi occupation in World War II. 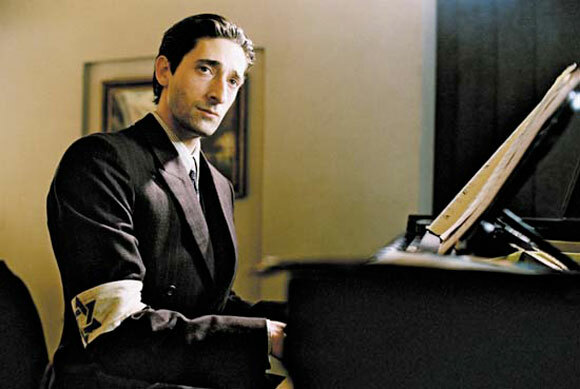 Based on Polish-Jewish musician Władysław Szpilman true story, The Pianist features a staggering performance from Adrien Brody. Titanic made a lot of money. Its tale of the doomed debut voyage of the infamous ocean liner was built on an impressive parade of special-effects and a tragic Romeo and Juliet-style love story. However, despite winning the hearts of millions of cinemagoers, L.A. Confidential is a far better film. One thing we can take from looking at the winners and losers throughout the history of the Academy Awards is: musicals are loved (or were for a considerable length of time), while horror hardly registers at all. The Exorcist is the closest any supernatural horror film has come to winning the top prize. Jaws was another nominated Best Picture loser while The Silence of the Lambs won the Academy’s most illustrious accolade in the name of the suspense thriller. At the 52nd Academy Awards you could have quite easily picked two winners. 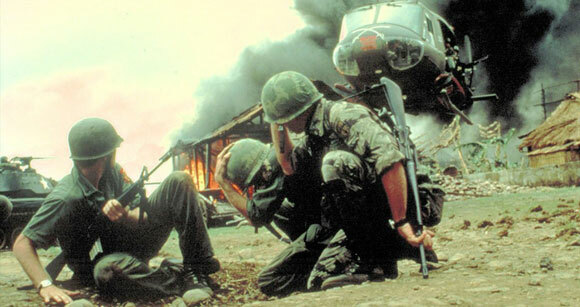 Kramer vs. Kramer is a great film but many see Apocalypse Now as Francis Ford Coppola’s best work. The ferocious performances of Elizabeth Taylor and Richard Burton weren’t enough to see the film beat A Man For All Seasons to the top prize. Taylor did however win in the Best Actress category. 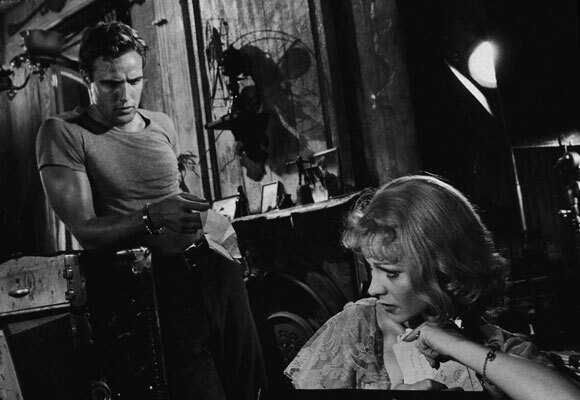 Elia Kazan’s brilliant film adaptation of Tennessee Williams’ play features staggering performances from a cast that includes Vivien Leigh and Marlon Brando. It lost to musical An American In Paris. 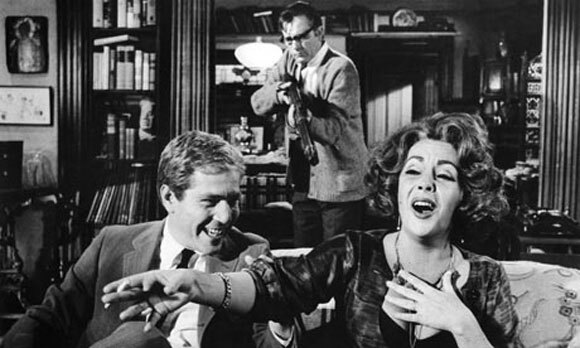 Billy Wilder didn’t have much luck at the Oscars when it came to winning the top prize. 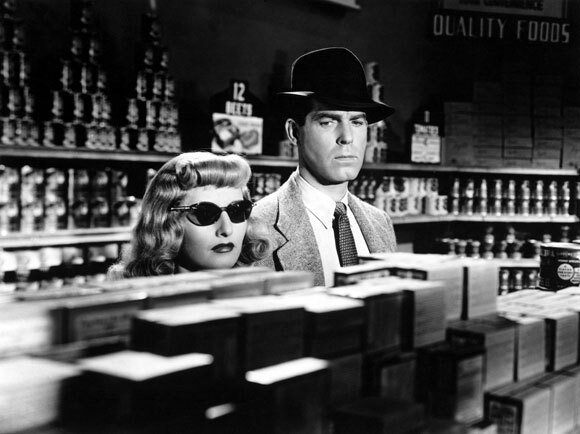 In the 17th Academy Awards, his brilliant film noir Double Indemnity lost out to musical comedy Going My Way. In many people’s view Raging Bull is Scorsese’s best film of all time. It lost to Robert Redford’s directorial debut Ordinary People. Yes, the “greatest film ever made” didn’t win Best Picture. How Green Was My Valley has its fans but its stature within film history is hardly that of the influential, awe-inspiring, innovative and, in many people’s eyes, flawless Citizen Kane. Indeed, How Green Was My Valley’s notoriety is more due to it being the movie that beat Citizen Kane to the Best Picture Oscar than its merits as a piece of cinematic history. Other personal favourites that were beaten by admittedly fantastic films include: 12 Angry Men (lost to The Bridge of the River Kwai), Jaws (lost to One Flew Over The Cuckoo’s Nest), Network and Taxi Driver (both losing to Rocky), Hannah and Her Sisters (lost to Platoon), Working Girl (lost to Rain Man). Your turn – what are your favourite Oscars Winners and Loses? I love your Pianist and Apocalypse Now picks as well. Anything last year should have beaten The Artist…anything….Jack and Jill was a better movie than the Artist. The Artist was a gimmick, the pet Rock of 2011 movies. It will be forgotten in a few years. It’s just another exampple of the academy thinking they know movies better than the public does. Great list here! I half expected to see Saving Private Ryan’s losing to Shakespeare in Love and Brokeback Mountain’s losing to Crash on your list. I like that you mixed it up. Most people forget to go back in time! Nice work! Excellent list of “should have beens”! Cannot for the life of me figure out how or why ‘Kramer vs. Kramer’ was nominated for or won anything. A completely pedestrian film. Same thing for ‘Ordinary People’. ‘My Fair Lady’ was Hollywood’s last big hurrah for big, overblown costume musicals and the waning Hollywood system. 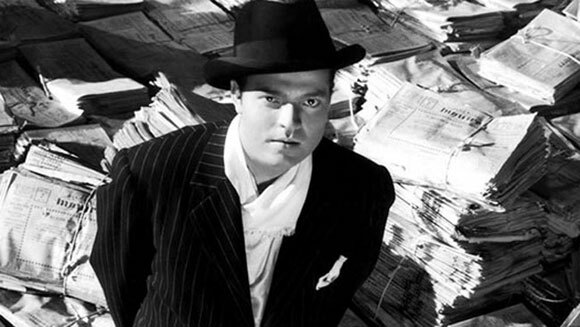 ‘Citizen Kane’ was not about to win a Best Picture award when it made scathing light of the media mogul of its day. Though it most definitely should have! I notice something new to marvel at and ponder every time I see it. Fantastic list here Dan. There are some real beauty’s that its nothing short of scandalous that they didn’t. I enjoy the Oscars but I find it hard to respect them sometimes when they can make mistakes like these. The only thing I would say is that The Exorcist vs The Sting is a tough call, I love the Sting, too. But thats about it… and you even have a point on that one! Really solid list, man, this one is pretty airtight! Right with you on The Pianist, The Exorcist and Citizen Kane. I loved LA Confidential but I’m glad Titanic won I’m afraid. Your inclusion of The Pianist is actually pretty funny because there was a gag during the ceremony yesterday where they made a comment about losers and no one remembering any of the films that competed with Chicago. Can’t believe a brilliant film like L.A. Confidential lost to crap like Titanic. At least it won on other categories that year and its performances were deservedly praised. Not surprised about The Exorcist losing given the lack of respect for horror, although I am shocked by some of the others here like Apocalypse Now, Raging Bull, and Double Indemnity. Didn’t know that Citizen Kane lost. That’s a great bit of trivia. Hard to imagine how In Cold Blood (1967) was overlooked for a nomination …. a masterpiece of US cinema in the 1960s. @Dan Grant: The interesting thing with The Artist – and the reason I believe it won – is its celebration of the film industry and Hollywood. And since the Oscars is all about self-congratulation it was the perfect film to pick as Best Picture (not that I necessarily disagree with their choice). Argo achieved a similar thing this year. Jaws is a toughie because I would ordinarily think – yep: Best Picture of that year. However, it lost to One Flew Over The Cuckoo’s Nest and there’s no denying the brilliance of that film. A fair winner that year. I’d like to add JFK also. I can’t believe I didn’t mention that in the first post. Silence of the Lambs is good but imho JFK is one of the ten best films ever made. @Dan: I can appreciate that many people have different opinions. I just can’t understand the appeal of The Artist. Just my opinion. As for Jaws, I do concede that Cuckoo’s Nest is a great film, but you know my feelings on Jaws, best movie ever made by a mile. @Dan Grant: I totally understand your feelings towards Jaws. It would be my pick for best film that year too but there were so many exceptional films that year it was almost impossible to pick one winner. Maybe they should have had a tie like they did in one of the categories this year. @The Focused Filmographer: I’m not a fan of Crash so that would be a consideration for the 11th spot. 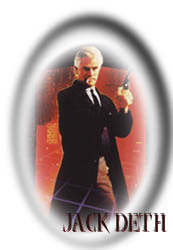 @Jack Deth: I’m a fan of Kramer Vs. Kramer but both Hoffman and Streep have delivered better performances elsewhere and Apocalypse Now is a far more impressive film. 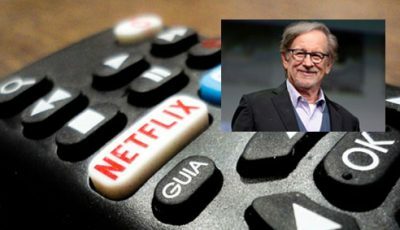 @Mark: They choose films that suit them – safe options I suppose. Kramer Vs. Kramer celebrated the hard-working American single parent, Apocalypse Now criticised the Vietnam War – it was a no-brainer for the Academy. @Fogs: The Sting is great – totally agree – but The Exorcist is more than a movie. @Pete: Good to see you’re on board with The Exorcist winning Best Picture. I suppose the fact it was merely nominated was an accomplishment in itself given that it’s a horror movie. @Evan: Chicago…how, why, what happened…?! 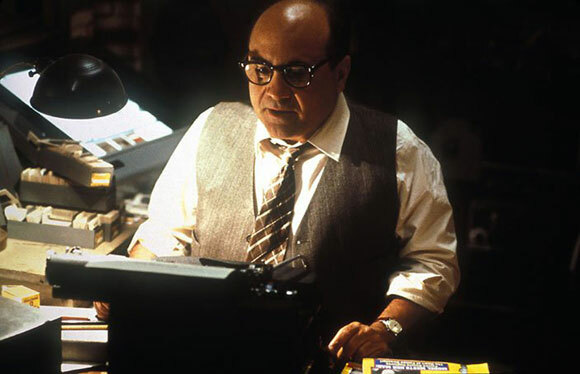 The reason there was that joke about not remembering anything from 2002 but Chicago is that the producers of that film also produced this year’s Oscar telecast. So their opinion of films from 2002 that weren’t remembered is a little biased, plus there was a small film that came out in 2002 that was also nominated for a ton of Oscars, you might have heard of The Two Towers. I agree with all of your choices for Best Picture winners on each year you bring up. I would really argue in favor of The Exorcist being that it would have been the only true horror film to have won the Academy Award. Sure, The Sting was a pretty good film, but one cannot underestimate the impact of The Exorcist in film history. Same can be said about each pick you made, also including those you mention as footnotes, especially Taxi Driver and Network losing to Rocky, which to me one of the greatest insults ever perpetrated to the art of film-making. I mean, Rocky was pretty entertaining, but it doesn’t hold a candle to the truly superb contenders it faced. From memory, the late Vince Canby in his NYT review of Rocky suggested that the film looked so much like a vanity production it was hard to imagine John Alvidson directed it – and Alvidson got the direction gong that year in a competition that included the likes of Bergman and Lumet. Also, for what it’s worth, I agree with above comments on The Exorcist – putting the head twisting, profanity and green puke aside, the twin story about guilt, faith and everlasting evil was great (even if the desert exposition was kinda vague); also, the colour co-ordinated cinematography was pretty calculated (as it was in The French Connection and Sorcerer). I’ll stand up for Rocky. It’s an outstanding film and the best film of 1976. Taxi Driver is about the subversive side of America, Rocky is about the romantic side. A pure underdog winning it all? How can you not love that? It was beautifully written, directed with a keen eye for detail and it had some of the best performances of the year. Taxi Driver and Network were good, very very good, but Rocky is close to perfect. One of the reasons I didn’t put Taxi Driver or Network in my top 10 above (only highlighting them in the footnote) is that I thought Rocky was a deserving winner. In fairness, I think Network and Taxi Driver are both fantastic films and would perhaps stick them ahead of Rocky if I was ever to do an “all time best of” list, but I can have sympathy with the Academy for struggling to split them. Like Dan Grant says – Rocky is about triumph over adversity – it is the sort of story Hollywood loves to tell. Taxi Driver and Network were more biting, more subversive, more downbeat, perhaps more daring, but Rocky has all the elements of a great Hollywood film. It works perfectly as a Best Picture winner and has the qualities to support its claim as the best film of that year. Very good list except forgot a big one! There is no way Forrest Gump should of beat out Pulp Fiction for best picture in 1994. Pulp Fiction should be high on this list, it totally got shafted over political correctness. It’s incredible to see how young Marlon Brando and Robert DeNiro look in these old black and white photos. I haven’t even heard of some of these other titles, but I’m sure one of the older gentlemen I work with at DISH will be happy to enlighten me. Some of the titles that I do recognize are memorable despite that they didn’t win an Oscar, so I assume the others are just as good. I’m adding them all to my Blockbuster @Home queue. BTW, I’ve nominated you for a Liebster Award, Dan. No pressure to respond or take part, but wanted to let you know that I enjoy your writing. I think 1994 had three films that could have and were deserving to win best picture. Gump, Shawshank and Pulp were all brilliant in their own right. It’s kind of like 1990 when Goodfellas lost to Dances with Wolves. So many are quick to tell you how Goodfellas got robbed. But DWW is sheer perfection. It was a passion project of Costner’s and the effort he put into it showed. I think it’s a shame so many discount winners like Gump and Wolves. IMO, they are equally deserving winners. Dan Grant, respectfully I’m not discounting Forrest Gump, it is a great film but it’s not something new ……..we’ve seen this before. Pulp Fiction changed the way we saw film in the 1990s. A revival in storytelling and risk of 1970s filmmaking. Hollywood hasn’t seen in a long day. Musicals will always win out it seems when it comes to Best Picture. It’s the only time that the word genre isn’t used in a pejorative sense. Meanwhile, comedies, horror and action get the shaft. I think it’s important to remember that award shows highlight the truth about film, that it is entirely subjective. For instance, I like L.A. Confidential, but I think Titanic is a much better picture. I think Citizen Kane is great (even if it is severely overrated in the “innovative” department, especially when you watch some F.W. Murnau films and realize he was implementing all of Citizen Kane’s supposed technical innovations years before Kane was produced) but How Green Was My Valley is a far superior film. Subjectivity is king when it comes to the art of cinema, that’s why I don’t think I’ve ever had a top film that matched the Best Picture winner of any given year. I don’t really care about award shows, and the Oscars are never going to reflect my taste in film. They are a good indicator of the taste of the selective voting membership of the Academy, but nothing more. Maybe award shows have a place as some sort of popular culture marker, but to be honest I don’t think they have much merit, or even belong, in serious film discussion. Once again . . . I haven’t seen all of these. 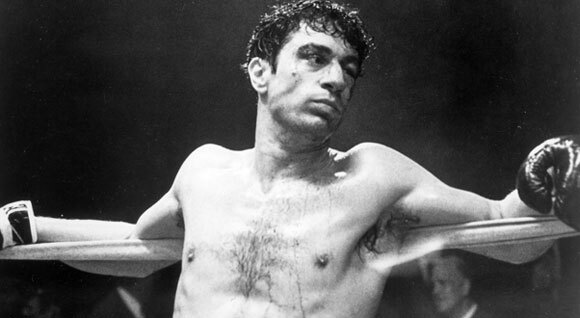 Oddly, though, one that you call a snub (Raging Bull) lost to the film I call the second best movie ever made. And one you say the Academy got right (The Godfather) I say snubbed an even better movie (Caberet). Don’t get me wrong . . . I like The Godfather. A lot. Just not as much as Caberet. Ditto that for Raging Bull and Ordinary People. I do, for what it’s worth, completely agree on The Pianist, LA Confidential and The Exorcist. OK, Just putting in that I’m really tired of reading the 1980 choice critique. Ordinary People is superior to Raging Bull. Period. Get over it already! 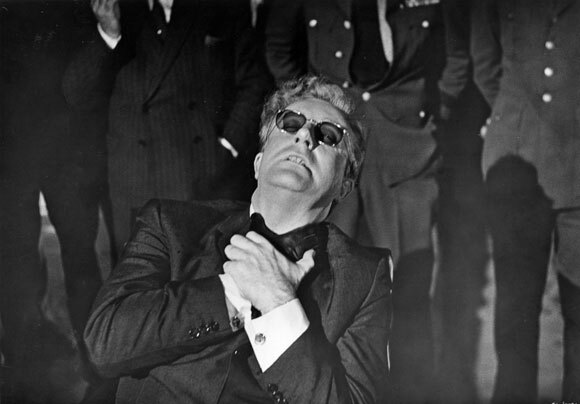 The only one of your preferred choices I agree with is Dr. Strangelove. The only movie in your list I have not seen is The Exorcist. And, the only one that ‘got away’ for me was Brokeback Mountain instead of Crash. Great list Dan. I’m going to rank mine according to how badly they hurt to see lose. I started watching the Oscars back in 2001, for the year of 2000. So, I can’t include, but otherwise would: Jaws, Star Wars, Raiders of the Lost Ark, E.T., Born on the Fourth of July, Goodfellas, Pulp Fiction, Fargo, Saving Private Ryan. Although I’m a big one for Oscar getting it wrong (which it tends to do more and more, I think cough *Lego movie* cough) the biggest one I’ve seen in my time was Shakespeare in Love winning over Saving Private Ryan. Private Ryan’s impact on the War Film genre cannot be overstated, whilst hardly anyone remembers that stupid Paltrow movie. Fantastic article here Dan Stephens.